Unless you’ve spent the past few years in an isolation cell devoid of radios, this soundtrack should require little introduction. 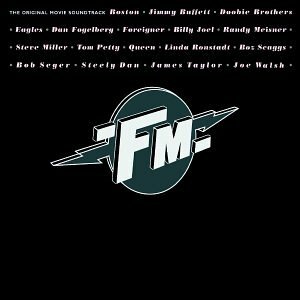 Included are Bob Seger’s marvelous “Night Moves” and Billy Joel’s lilting “Just the Way You Are,” plus Foreigner’s “Cold as Ice,” Steve Miller’s “Fly Like an Eagle” and many additional blockbusters. As a bonus, the set features previously unreleased delights by Linda Ronstadt (live versions of “Tumblin’ Dice” and “Poor Poor Pitiful Me”) and Steely Dan (the attractive “FM,” one of its least enigmatic entries to date). What all this adds up to is an album of first-rate quality. From what I hear, it’s a whole lot better than the movie that spawned it. At least partly because we’re spared commercials, it’s also more fun than the radio stations that inspired it.